Help the Sierra Region Economy Grow & Stay Strong! Annual contributions from our Partners augment what we receive from the State of Nevada and from our city and county members. 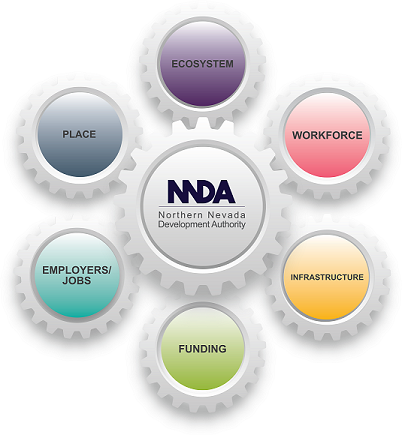 They support NNDA’s efforts as the connector, navigator and problem solver between the Sierra Region’s business communities, government, and the many resources to support business growth. It helps us to do even more in growing the Sierra Region’s economy and maintaining its vibrancy. Download our brochure to learn more about Partner levels and benefits. Sierra West Consulting Group, Inc.